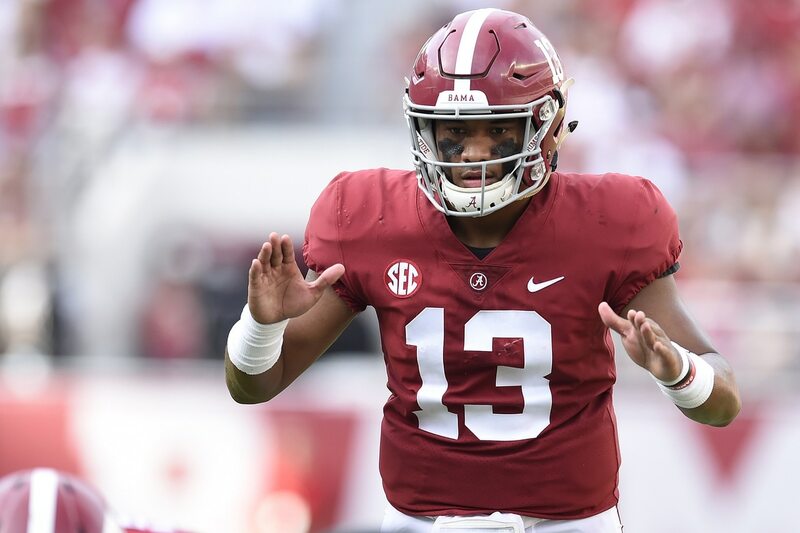 If we didn’t already have enough proof that Alabama quarterback Tua Tagovailoa is a video game cheat code before, we certainly do now. The sophomore gunslinger has been putting up insane numbers all season long. He entered Week 6 having thrown for 1,161 yards with 14 touchdowns and no interceptions while completing 75 percent of his passes. On Saturday against Arkansas, Tagovailoa almost couldn’t miss in the first half. By halftime, he had an insane stat line: 10-of-11 passing for 334 yards with four touchdowns and no interceptions. That’s 30.4 yards per attempt, people. Heck, Tagovailoa was dealing even before ESPN’s crews could even fix their camera angles, throwing a 76-yard strike to Irv Smith on the game’s first play. What he’s doing is just crazy. Twitter reacted appropriately.